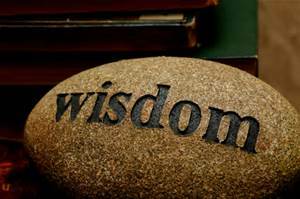 What does a wise leader look like? The wise leader understands that s/he does not have all the answers; that they cannot sustain the organisation on their own, and they understand the limits of human cognition. They are prepared for the unexpected, they hold the torch of hope high when things are uncertain, and they build resilience in their people. Wise leaders are attuned to the world around them and they ensure this by listening with interest to both the spoken and unspoken words of people who they work with, the customers they serve and the communities in which they exist. They distribute decision-making down and around. They make sure that the experts get heard, not just the boss. They listen, they suspend judgement, they co-operate and co-create, and they communicate. Successful leaders are “mindful” and better able to detect surprises when they are new, small and insignificant. The wise leader works towards creating long-term outcomes by crafting well-considered and co-created images of the future. They do this through dialogue and quality conversations and understand that it is these co-created images of the future that guide choices and goal directed behaviour. They make people feel respected, trusted, worthy and honoured – and most of all, they encourage and inspire others to become a better version of themselves. Wise leaders understand their work within the context of the planet, the world, and the communities they operate in and the people they serve. They are aware that their work and businesses impact people, societies and the environment and they strive towards “doing no harm”, being fair, ethical and responsible. They lead people towards a more co-operative, humane and positive future! Have cognitive complexity, a capacity to deal with complex and ambiguous phenomena in complex environments. They must be rational and deep thinkers, having the capacity to seek out the “facts” of a situation and to deal with them rationally. However, they also need to understand and question their assumptions and where the facts originated from. Wise leaders display creativity, and draw on the non-rational judiciously as appropriate; having the capacity to acknowledge the potential worth of one’s own instincts in making judgements. Wise leaders display long term vision and virtue, having a proven commitment to the long-term welfare of not just immediate stakeholders, but of humanity in general. To care for humanity, one must be committed to virtue, that which is intrinsically decent. Finally, a wise leader is articulate, having a proven capacity to reach people through words, affect and actions.